Love My Hairitage: What’s Up With Biotin? While perusing the shelves at your local drugstore or natural health foods shop, you've probably stumbled across a bottle labeled "Biotin." According to dermatologists, these B complex vitamins (also known as vitamin H) are important in metabolism, helping your body to process energy and transporting carbon dioxide from your body's cells. Lofty claims that biotin can help grow healthier and stronger hair, skin and nails has sparked a generation of pill-popping women who desire these beauty benefits. 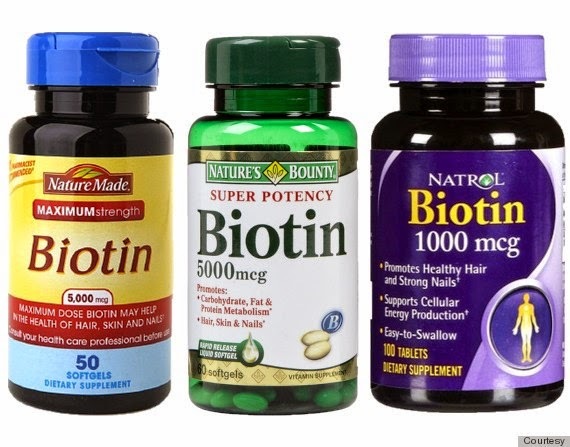 But is biotin doing more harm than good to our bodies? Biotin, also known as vitamin B-7, is an essential nutrient that can be found naturally in foods such as eggs, brewer’s yeast, cauliflower and cucumber. Biotin supports carbohydrate, protein and fat metabolism and it is not common to have a Biotin deficiency. Many of us consume plenty of Biotin in our diets naturally, but it has been shown that taking higher doses of Biotin in supplement form can greatly benefit the hair, skin and nails. Biotin has been called 'hair food' and rightly so since one of the effects seen most often is an increased rate of growth in the hair when taking biotin supplements on a daily basis. How much Biotin is enough? Too much? The magic number seems to hover around 5000 mcg a day, with daily consumption being very important. Being inconsistent with taking biotin will definitely vary your results. It's also important to understand that hair growth will not happen overnight. 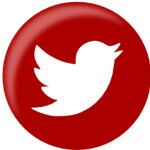 You will most likely see results after about a month or so. Biotin has also been shown to increase nail and eyelash growth and can be a great treatment for people who are suffering from eczema. Does Biotin Make all Hair on the Body Grow? The question I wonder about most often is, "Will the rest of the hair on my body grow excessively too?". Thankfully, no. Unlike the hair on our head, the hair on our body is only programmed to grow to a certain length. This is what mercifully allows beautician’s to avoid having to cut and style their client's arm hair! The quest for beauty however, is not without cost. Anyone who is pregnant or trying to become pregnant should avoid taking biotin or consult their doctor before doing so. Biotin has also been shown to decrease the effectiveness of some heart and anti-seizure medications. Possible signs of biotin overdose include slower release of insulin, skin rashes, lower vitamin C and B6 levels, and high blood sugar levels. Where Can You Find Biotin & What’s the Correct Dosage? Biotin can be found at most drug stores and almost all vitamin stores and just about every multivitamin supplement contains some form of biotin. Make sure to note how many mcg's of Biotin that you are buying. If you are looking to take 5000 mcg's a day, you don't want to buy a bottle of 500 mcg pills and have to take 10 pills! There are several brands out there that come in 1000 and 5000 mcg form. The general daily recommended daily dosage by dermatologists is 2.5 mg of biotin. I’ve recently tried a popular hair vitamin that contained biotin. My results were positive, yet limited. Have you tried biotin or another specialty hair vitamin with great results? What’s your take on biotin’s benefits? In the meantime, stay healthy.